Dhoot Driving School has set a benchmark by offering various training programs for people who want to take up professional driving as a career. If you find driving to be exciting, you definitely would be happy to know the future prospects after you become a professional driver. Companies readily hire people who have appropriate skills and necessary licenses. Also, they pay good salaries since they understand that it is a job which brings along lots of responsibilities and risks. This is also one reason that they do not want to compromise on any front when it comes to hiring people. 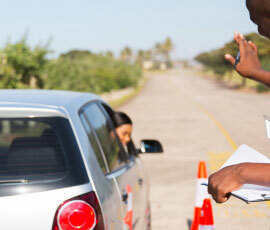 If you wish to be a professional driver, your regular driving license will not be sufficient. You have to apply for special license that would allow you to drive those heavy and passenger vehicles. Those who do not possess the license are not allowed to drive and if found driving are given punishment. Government has been strict about the rules and licenses and hence there is no point taking a risk. In order to get the license, one has to appear for tests where the person is evaluated upon his knowledge about various aspects and also his driving capabilities. This would mean that you have to appear for a theoretical and a practical test. If you have any doubt about passing the test, you must not take a chance and join a training program offered by Dhoot Driving School, Swiss Cottage, London. Deciding to become a professional driver is not the only decision that you have to take. There are certain other decisions you need to take and have to be more specific about your career objective. Professional drivers can drive vehicles used for carrying goods or those meant for carrying passengers. While the goods vehicles are termed as heavy goods vehicle (HGV), the passenger vehicles are called passenger carrying vehicles (PCV). Thus, you need to decide which one is suitable for you. This is important because the license for driving a HGV is different to one meant for driving PCV. For example, C + E Truck & Trailer fall under HGV and D Automatic Bus is included in passenger carrying vehicles. This is why the tests are different and so are the training programs. Hence before you move ahead, be very sure of your aim. In case you are not able to choose, you can consult your trainer at Dhoot Driving School, Swiss Cottage, London, and you will get all answers to your questions. The institute offers all the training programs and hence trainers never force people to join a program that would not serve the desired purpose. They will provide every detail about LGV training and PCV training programs and ask you to take a well informed decision. Efficient and skilled trainers are the most important thing to notice when considering any training program. At Dhoot Driving School, Swiss Cottage, London, trainers have knowledge and are experienced. The fact that they are certified by DSA to train people itself indicates that they have all necessary skills and can help you at every step making the process easy. You just need to be dedicated and rest would be fun and easy. One major advantage of joining Dhoot Driving School, Swiss Cottage, London is that they provide instructions in various languages from Hindi to Kashmiri, Punjabi and more. This has been done with an aim to enable you understand concepts without any language problem. A person with clear understanding of all concepts is ought to be good professional driver and can pass any test without any issue. As the government is becoming particular about skills and knowledge of professional drivers, CPC license has been made compulsory if anyone wants to start driving a PCV or HGV. This is an additional license that you need to have which confirms that you are proficient enough. There are tests for this license as well and since one has already passed the earlier tests, this one takes it to next level. Thus, you will have to opt for a training program for this as well. at Dhoot Driving School, Swiss Cottage, London, you are also trained for the CPC tests ensuring that nothing comes in way of your objective. If you wish to pass tests in first attempt and become a professional driver, Dhoot Driving School, Swiss Cottage is the right place for you. But before you opt for any course, make sure that you discuss everything with your trainer. 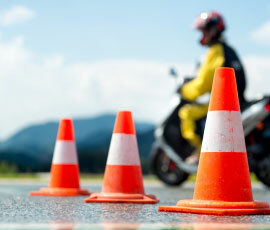 You would learn all the concepts and driving skills without much effort if you are comfortable with the trainer. Hence, go ahead and contact the institute for the details and take a wise decision which you would always be glad of since you will get best assistance in all possible ways.